I did it! After a few failed attempts, I finally recreated my favorite smoothie from my beloved Keva Juice. I was inspired to try because Keva Juice in North Hills has just had their 3rd decent-sized price raise in about a year’s time. I know they say they’re trying to cover the rising cost of materials, but I’m not getting paid more – my paycheck, like everyone else’s, is less since the tax cuts expired – so it was time to be responsible and start making ’em for myself. I’m only going to be going in there for wheatgrass a few times a week now. I’m not quite at that stage where I want to invest in a wheatgrass growing kit/juicer. That’s a little more dedication than I’m willing to have and they only raised the price of wheatgrass $.05 this time around. Portion Sizes – I don’t measure it out; I just kinda wing it based on how much fruit I have. I add more blueberries than raspberries. I use the Chibani Greek Yogurt, so I only use half of the container and seal the other half up to use again. Peanut butter – You can substitute almond butter, natural peanut butter, or whatever your preference is. Ice – This is logical but the more ice, the bigger the smoothie will be. Spinach – You can’t taste it at all in the smoothie and it’s really super healthy for you. I don’t like salad in general, so this helps me get my greens in. Raspberry Lemonade – I use it because it helps the smoothie blend better & when I first tried to make it, I used milk instead of juice & yogurt and it was a giant fail. I picked raspberry-flavored juice because less raspberries come in a container than blueberries, so I have to use less raspberries. Enjoy (or not)! If anyone has any smoothie recipes to share or has ever done one of those smoothie detoxes, let me know in the comments. 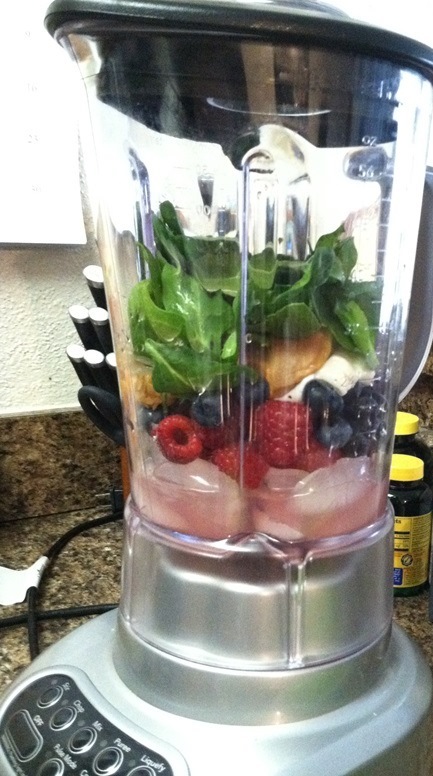 I’m really high on the smoothie kick right now! 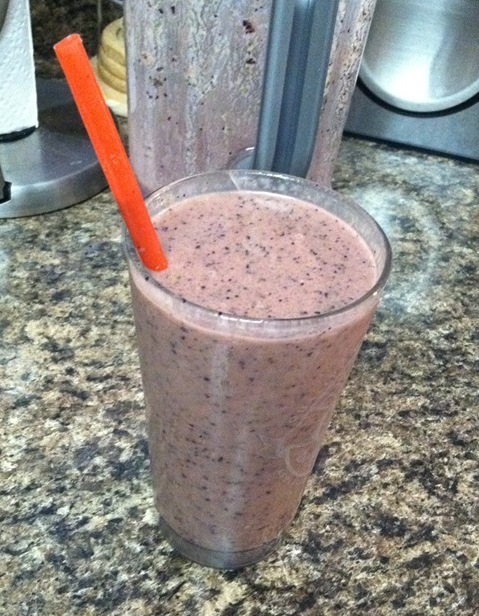 This entry was posted in Food and tagged Blueberry smoothies, Peanut butter smoothies, Raspberry Smoothies, Smoothies. Bookmark the permalink.